Innovation is vital for law firms to survive in today’s incredibly competitive environment. Clients increasingly push back on invoices and no longer want to be charged for purely administrative tasks. Law firms have substantial write-off in relation to admin tasks (in a recent value analysis project, we found that as much as 33% of accrued fees in a deal could be written off). 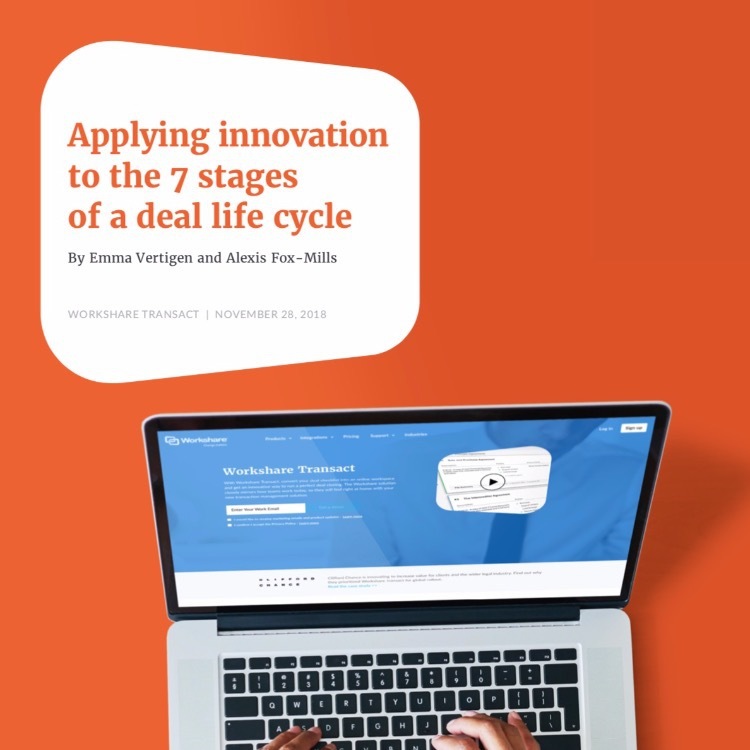 See how to save time and money in a deal completed with our online deal management software, Workshare Transact, over a traditional deal lifecycle. This is essential reading for any law firm that wants to understand their transaction admin pain points and find a cost-effective solution to these areas.